Beta is the active brain wave state when we are going about our busy lives. Those brain waves cycle at 12-40 cycles per second. This is get ‘er dun mode. The cycle beneath that is Alpha. We typically go into Alpha brain wave states when we are daydreaming or meditating. 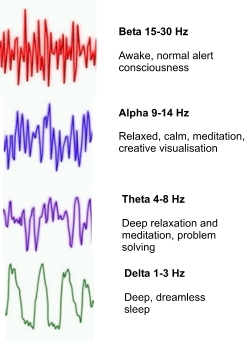 Alpha brain waves are around 8-13 cycles per second. Then down lower we go to Theta. This is when you are completely relaxed, that space right before sleep when you are semi-conscious but in a dream-like state. Brain waves cycle here at 4-7 cycles per second! This is a place of healing for our bodies. Lastly, we have Delta. Delta is deep sleep. There is no sense of self in Delta. Some say that is where our souls find rest in the collective consciousness and recharge before returning back to ourselves. Our brain waves cycle 4 cycles or less per second. This is a place of DEEP healing and why when people are ill they sleep a lot. 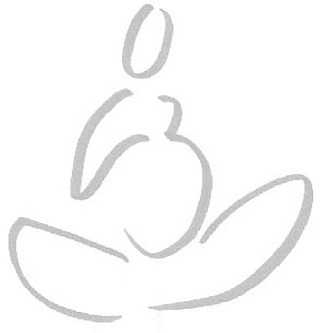 Pregnancy in particular is a potential time of great healing and empowerment as a woman. You have ready access to brain waves states to heal the deepest parts of yourself to make yourself ready for this new experience of motherhood (even if it’s not your first time, it’s your first time with this baby). You already possess everything you need to be whole and healed. You already possess the ability to birth your baby. All you need to do is tap into the power of your mind and spirit to make it happen! Embrace the process, don’t fear it and it will embrace you back!